When you need a lightweight carry revolver, you turn to Smith & Wesson's Small Frame Airweight Series. They are the original aluminum, small frame revolvers chambered in .38 S&W Special +P. 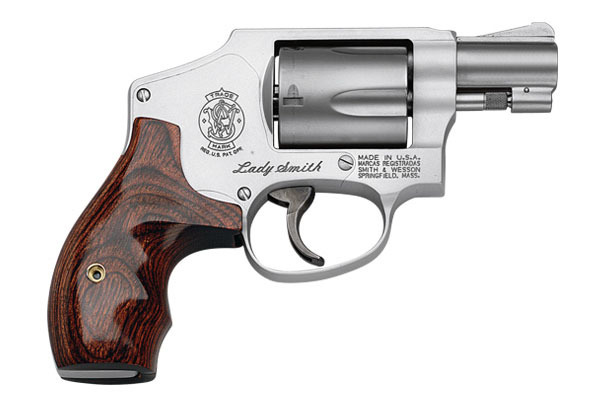 Designed for those with a smaller frame, the 642 LadySmith features handsome wood grips, and a fully enclosed hammer for a smooth, anti-snag draw. Features a 1.875" barrel and a 5 shot .38SPL+P capacity.